Those Crayola People are GENIUSES! I swear those Crayola people are geniuses! Everything we have purchased that is Crayola is a big hit in our house. Jack received the Crayola Color Wonder Magic Light Brush . It only allows him to paint on the special Color Wonder Paper. No mess! The brush lights up when it goes over the color. We already have a fridge full of beautiful artworks of Jackson and Miabella. I think that this toy has gotten the most use. Too bad Santa didn't bring it and it was a gift from Nina. The Crayola Color Wonder Fingerpaint is another favorite here! It's designed to fingerpaint completely mess free! Nothing spills on my carpet or ends up on their clothes! I don't have to worry about leaving them unsupervised while I have to walk away for a minute and them making a mess! Seriously, those Crayola people are GENIUSES! The Crayola 8ct Dry Erase Crayons Large Size rounds out our top 3 All-Time favorite Crayola products! No fumes. No mess. These don't dry out. The perfect way to help with letter writing without worrying about the fumes that they are being around. If it does get on Jack's hands or clothes, it very easily washes off. One of the coolest Dollhouses EVER! I personally think that this is one of the COOLEST DOLLHOUSES EVER!!!! When you ring the doorbell, the house comes alive! The Caring Corners - Mrs. Goodbee Interactive Dollhouse has 12 rooms to explore and allows for 2 children to play with together. When the house unfolds, it has 6 rooms on each side. It does take batteries, but only 3 AAA. This house is currently 1/2 price on Amazon!!! It's currently $41.99! We bought ours from Once Upon A Child for $40. Definitely worth every penny! Our Favorite New Tot Schooling Toy! The LeapFrog Scribble and Write is our new favorite toy to play with during tot school! This toy helps the child learn to write their letters by following the lights. Their pen traces each light and makes the letter! It also helps with letter recognition and teaches letter sounds. I had bought this for him to keep him entertained and thinking while I worked with Mia on other things. We can't get this toy away from Jack! Starting 1/1/11 through 3/31/11, if you purchase 20 Lean Cuisine Entrees, you can get a free lunch bag. 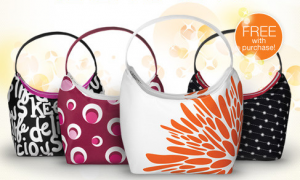 To receive your bag, set up an account here and start entering your codes from the package (marked packages). (up to 10 per day). There is a limit of one free bag per household and this promotion excludes Lean Cuisine Market Creations. This week at Kroger, Lean Cuisines are on sale for $1.50. When you buy 5 in same transaction, you will get 2 free, with card, limit 8 free items. Here is a coupon for $1/3 Lean Cuisine Entrees (IE). It can only be printed in Explorer. You should be able to press the back button and print it twice per printer. Print this Kohl’s 3-day Shopping Pass and get 20% off your entire purchase in-store Thursday, December 30- Saturday, January 1, 2011. This includes all sale, regular, and clearance-priced merchandise. Jo-Ann’s Teacher and Home School Educator Discount: 15% off! If you’re a Teacher or Home School Educator, be sure to sign up for the Jo-Ann’s Teacher Discount Card! You’ll receive 15% off every time you shop in-store! Plus… you’ll receive even more throughout the year during Jo-Ann’s Teacher Appreciation Days! 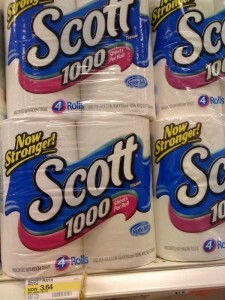 Cheap toilet paper at Target! Pay $0.64 ea. after coupons!!!!!! Today's Lightning deal is for EMU boots. These are 70%!!!! Go check them out! Need Storage? 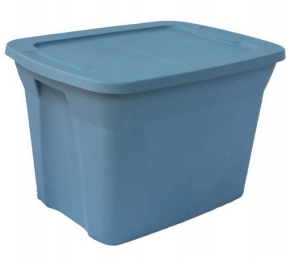 Lowes has 18 Gallon Storage bins for just $2.50! Lowes.com has the 18 Gallon Storage bins on sale for just $2.50. Pick them up at your local store in as little as 20 minutes! Plus you can go through Ebates and earn 6% cash back. And if you are a new member, you will get a $5 bonus on top of the cash back! Just sign up and after logging in, search for the store in the search box and follow the link to the store’s homepage and proceed with your order like normal. Your cash back will appear in your account. It’s like getting paid to shop! Dollar General is sponsoring a new Sweepstakes for a chance to go to the Super Bowl among other prizes. 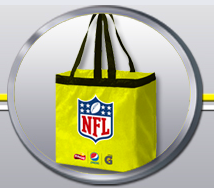 The first 20,000 that enter the sweepstakes get a free NFL reusable grocery bag. Sweepstakes valid in AL, AR, AZ, CO, DE, FL, GA, IL, IN, KS, KY, LA, MD, MI, MN, MS, MO, NE, NJ, NM, NY, NC, OH, OK, OR, PA, RI, SC, TN, TX, UT, VA, VT, WV or WI only. Limit 1 bag per household. Additional in-store promotions will be announced throughout the day. Find a Salvation Army location near you. The next one, you need to fan them on Facebook. 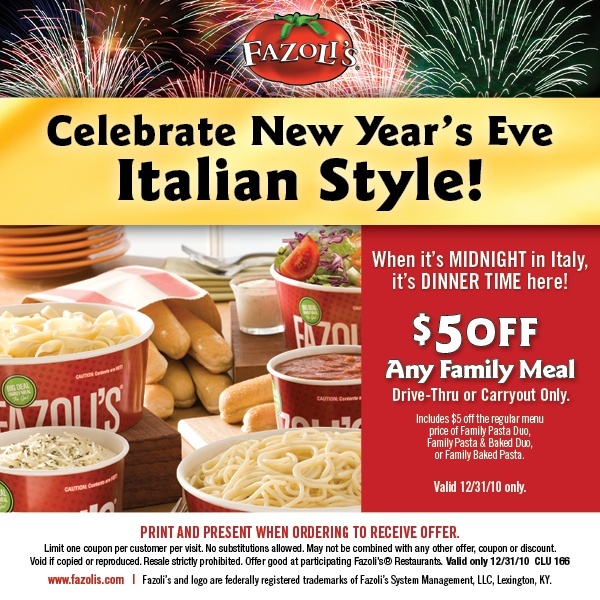 This coupon is good for $2 off any submarinos and drink. 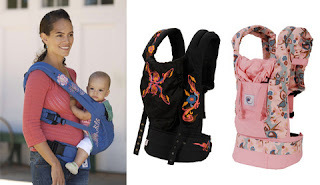 Ergo Carriers for $60-$70 today only! BabySteals.com currently has 3 different ERGObaby carriers for $60-$70. This is a 40-45% discount! Go check them out! Please note that this are "girly" in design. HUGE Sale at Bath and Body Works! I was able to purchase 15 items (everything that is pictured) for just $23.27 after tax at Bath and Body Works today!!! I had received an email about the big clearance event that is currently going on at Bath and Body works. It also included this coupon good for $10 off of a $30 purchase! They are having a sale with the soap for 6 for $20, but I found some in the 50% and 75% off bins. I paid $2.50 per bottle for most of them! The others were $1.25! Lilli loves their shampoo and needed a filler item to reach my $30 total, so I picked her up some. Mia found the ducks and decided she needed it. I can't find an end date for this sale. It normally only lasts about a week. Burger King is running a great new promotion! 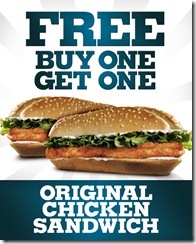 Through January 16, you can buy one Original Chicken Sandwich (around $3.79) and get a second FREE!!! Here is ANOTHER 10 point Pampers Gifts to Grow code. Just enter CONGRATS2NEWMOM. You don't have to be a parent with a child in diapers to take advantage of this program! Pampers releases enough FREE point codes a year to be able to obtain one gift a year! We recently just cashed in for a $20 Sam's Club gift card that we used to extend our Christmas budget for the kids! The BOGO Free coupon for Kodak Photo Books has reset!!!! My CVS frowns on stacking a BOGO free coupon with a BOGO sale. If your CVS will do this, this is a GREAT deal! Also, if you are a new member to Kodak.com, you can receive 50 free prints!! Amazon is offering $5 off of both Starbucks Natural Fusions Ground Coffee, Vanilla Flavored, 11-Ounce Packages (Pack of 2) and Starbucks Natural Fusions Ground Coffee, Caramel Flavored, 11-Ounce Packages (Pack of 2) ! This brings the Starbucks Natural Fusions Ground Coffee, Vanilla Flavored, 11-Ounce Packages (Pack of 2) down to $8.00 for 2 packs, or just $4.00 each! Just enter code "FUSIONC5" at checkout! Also this ships free if you have Amazon Prime. 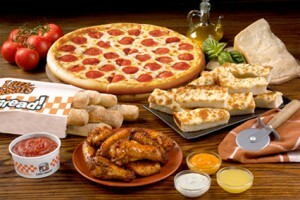 Buy One get One Free coupon for Little Caesar's pizza! Little Caesars released a pretty rare coupon! Just go here and enter your email address to print a rare Buy any HOT-N-READY Pizza and receive a pizza of equal or lesser value FREE, valid through 12/28! You will be able to snag 2 pizzas for $5 total! Cheap Dinner! Amazon's deal of the day is the Seagate Expansion 640 GB USB 2.0 Portable External Hard Drive for just $46.99! I paid $108 for this same one, 4 months ago. We LOVE it!